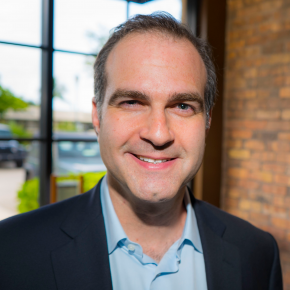 Organizational psychologist and top advisor, Louis Carter, takes you step by step through the process of building a lasting emotional connection between your staff and your company. Emotional support and healthy social connections offer vital business benefits. Heads-up organizations have worked to recruit Emotional Intelligence (EI) for decades. They recruit candidates with EI as a single index of emotionally-grounded personality, ability, and intelligence. But our research at Best Practice Institute examines Emotional Connectedness (EC) as a subset of EI. And, In Great Company lets me share this research and the ways it supports the need to implement a culture of emotional connectedness. To introduce five specific principle-informing practices. In Great Company strikes readers in two ways. They think, “Wow, I have to change if I want to get things right!” Or, “I do follow these practices but work with folks who don’t—and it hurts my performance.” I believe the book offers research-supported and principle-based behaviors to make necessary transformational changes within any organization. 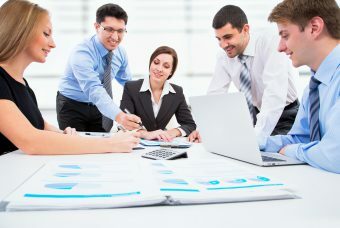 Emotional Connectedness unites people in the workplace making them feel respected and driving their performance. It’s the belonging people feel when they see their work positively impact organizational outcomes. The recognition that their work matters to their managers, colleagues, and the wider world makes all the difference. And, it motivates performance better than bonuses, benefits, and other perks. 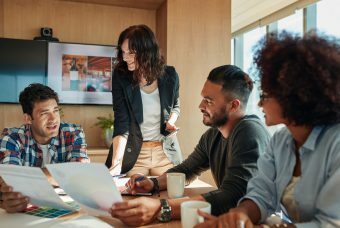 Although leadership determines the tone, employees come to drive the business just as members drive their associations and soldiers realize effective strategies. They make things happen—when encouraged in and by a psychologically safe place. Where such environments permit EC, the climate increases collaboration and cooperation because it reduces anxiety and vulnerability. It frees employees to offer feedback, exchange ideas, and paths to achievement. The comfort of mutual respect welcomes diversity and triggers inclusion. The EC culture reveals itself in affective commitment and companionate affection, a belonging that increases natural desire to have an impact, enhances willingness to pursue shared goals and elevates willingness to remain with the organization. It offers the individual a means to make a difference. I see an irony in the use of technologies to speed people’s work, software to improve quality, and resources to improve efficiency. These efforts serve traditional concepts of productivity. But they separate tasks and people. Devices channel individual work into solitary work when individuals seek companionship and socialization. Our research finds emotionally connected employees remain in their jobs longer, perform better, and form deeper customer relationships. Polls repeatedly indicate failure of major employee engagement initiatives. Disengaged employees then spread their disinterest effectively undermining the cultural and performance dynamic needed to succeed. Too many enterprises approach employee engagement as an HR task. They reduce it to a roll-out, another survey, or monthly newsletter cheer. C-suite executives leave it to HR to handle change vertically through the hierarchy. But it does not work without the vertical and horizontal commitment by all stakeholders modeled at the highest level. I believe In Great Company shows receiving respect, living the values espoused by the company, and creating a positive, functional and collaborative community promote a love of one’s workplace. This, in turn, increases performance and loyalty. Positive Future: Great companies are future-directed, innovative and optimistic. Their passion for positivity is contagious and promotes performance. Emotional connectedness creates the climate for success that breeds even more EC. This solidarity achieves results that strengthen the solidarity. Aligned Values: Honesty, integrity, and transparency resonant as the core values of great companies. But emotional connection only happens when the behaviors of leaders and peers model those values. They enable and share the values with accountability when everyone embraces and embodies common values consistently. Respect: Mutual respect is the social currency of an environment marked by EC. EC becomes the major catalyst for exceptional performance when an organization’s ethos and talent management processes endorse reciprocal respect. Killer Achievement: Without EC, achievement is merely the end of a project. Great companies use EC to achieve goals with an upside, a felt value for participants and users. 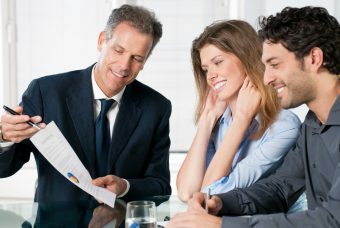 Customers benefit from people and processes focused on delivering “killer” achievements that deliver financial and emotional benefits affecting everyone. Inflexible, bureaucratic, and hierarchical infrastructures resist transformational change. So many organizations form protective systems to sustain traditional formats, processes, and states-of-mind. Unfortunately, they consistently rank below the bottom line performance, return-on-investment, and low employee turnover. 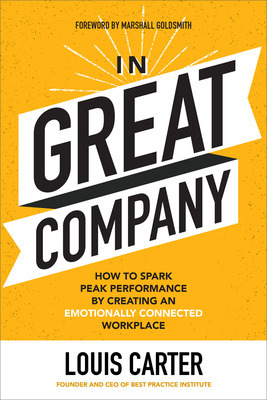 In Great Company refers to high-performance corporate examples. I integrate the results of our BPI research. I hope it defines, applies, and models the ways businesses can move towards an environment of emotional connectedness. And, I want to share this cultural shift as a real and sustaining human value. Louis Carter is CEO/Founder of Best Practice Institute, author of more than 10 books in leadership and management, and In Great Company (McGraw Hill). An organizational psychologist and top advisor to C-level executives of Fortune 1000 companies, he is the creator and facilitator of the BPI Senior Executive Board, an invite-only consortium of top CHROs and Heads of Global Talent.